Today, 15th September 2015, little or not so little fifteen year old Muteteli from Rwanda aspires to one day be Member of Parliament. She aspires to represent constituents from her region, help young children grow up to be the best they could possibly be; to live to their full potential. Young Muteteli aspires to assist farmers to produce more food for internal use and export, teachers be well qualified, hospitals to have well run facilities and to overall harness the energies and innovation of the promising Rwandan youth. “I will one day be Member of Parliament, I will make good decisions and I will make Rwanda proud,” she muses amidst a smile. Are her dreams valid? Very much so. Ban Ki moon rightly put it when he stated that civil society is the oxygen of democracy. It acts as a catalyst for social progress and economic growth and plays a critical role in keeping Government accountable; helps represent the diverse interests of the population, including its most vulnerable groups; that being the women and youth. In the words of Rwandan President Paul Kagame, “No one benefits if women are held back; we have to change mind sets, not just laws. In Rwanda, more women than ever before are serving in positions of responsibility and leadership in government and in the work place. These role models, in turn, shape the expectations and the missions of the next generations”. Democracy and its ideals as defined by the United Nations is a universal value based on the freely expressed will of people to determine their own political, economic, social and cultural systems and their full participation in all aspects of their lives. This means that there is rule of law whereby constitutions are upheld, term limits are respected, civil society groups can exercise their freedoms whilst holding government to account, elections are free and fair and the institutions within the state are free to deliver on public services equitably without interference from bureaucratic red tape and corruption. This year’s International Day of Democracy theme is on creating spaces for civil society and a study by Civicus indicates a nexus between democracy, civil society engagement and women’s leadership. Beginning with its leadership, it is reported Rwanda claimed the world’s highest percentage of women in parliament in 2003 and today, its women hold 64% of the country’s legislative seats. Rwanda is arguably run efficiently and effectively with a fast rising private sector and civil society which is steered by pragmatic sound policies and legislation from its political institutions. The study indicates that Rwandan civil society’s greatest strengths is its relatively positive values; that its civil society, to a great extent, nurtures and upholds positive values such as anti-corruption practices, gender equity, poverty eradication, tolerance and democracy promotion. This is a country that survived genocide in the 90’s and more or less built its economy from scratch. The African Union came to the succinct realization that women hold the mantle in promoting democracy and good governance and as such, during its 24th Heads of State Summit in January 2015, ended with a strong call for women’s empowerment in Africa as a step towards achieving the goals of Agenda 2063, its blueprint development strategy for the next 50 years. How can we design democracy so that it better fits African realities? The state of democracy in Africa is one of the most controversial and difficult questions facing the continent today. Is Africa getting more or less democratic? Why have so many countries become stuck in a murky middle ground between democracy and authoritarianism? Academia, researchers and media commentators all give different answers to these questions. Some would give up on democracy in Africa, seeing it as a dangerous experiment that too often goes wrong. Others believe that the early signs are promising and that if we keep up the struggle for another generation, democracy will become entrenched within African societies. In my book, I argue Africa should not be thought of solely as a place in which to analyse the fragility of democracy. Rather, it is a continent that has much to teach us about the different pathways through which even the poorest and most unstable countries can break free from authoritarian rule. It is important to place democracy in Africa in its historical perspective to demonstrate how the experiences of the 1960s, 1970s and 1980s shaped the kinds of political systems that we see today. In doing so, it reveals an often overlooked fact: African democracies are distinctive not because they face so many challenges, but because they have managed to make so much progress. This is true despite the absence of many of the supposed “pre-conditions” of democratic consolidation. Political scientists have identified a long wishlist of factors that make it easier to establish and consolidate a democracy. Topping the list are a coherent national identity, strong and autonomous political institutions, a developed and autonomous civil society, the rule of law and a strong and well-performing economy. Adam Przeworski, for example, has famously shown that countries that enjoy a per capita GDP of more than US$6000 when they introduced democracy almost always succeed. Those where it is less than US$1000 almost always fail. Both in the 1960s and in the 1990s, few African countries fulfilled this – or any other – wishlist criteria. Yet many of them have nonetheless made significant progress towards establishing stable and accountable multiparty systems. This set of countries is bigger than you might think. Roughly one-quarter of Africa’s 54 states are now “free” – meaning that they feature high levels of both political rights and civil liberties – according to the American think tank Freedom House. This includes Benin, Botswana, Cape Verde, Ghana, Mauritius, Namibia, Senegal and South Africa. In other words, a significant proportion of the continent is democratising against the odds. While it is very important to recognise achievements of the continent’s success stories, it is also important to recognise the way in which elections have encouraged corruption and exacerbated ethnic tensions. In Kenya, for example, it was the onset of multiparty politics, and the threat that this posed to Daniel arap Moi’s government, that led to the rapid escalation of graft and, ultimately, the Goldenberg scandal. Similarly, it was the threat of losing power in the 1992 elections, when the Forum for the Restoration of Democracy opposition had so much momentum, that led to the instigation of ethnic clashes to displace and intimidate the supporters of rival parties. That violence, we now know, was the forerunner of the post-electoral crisis of 2007-08. We therefore need to think really hard about how to design political systems in such a way that minimises the risks of democratic disasters. One of my core arguments is that Africa has suffered from unbalanced political systems that have been poorly designed to foster sustainable multi-party politics. History tells us that while elements of competition and inclusion strengthen multiparty systems, too much of either can be fatal to the process of democratisation. Let us start with competition. In places like Cote d’Ivoire and Kenya, winner-takes-all politics and the concentration of power around the president mean that losing parties could expect to be excluded from access to state resources. Elections, therefore, encouraged the collapse of political order by exacerbating ethnic tensions and giving leaders an incentive to use irresponsible and destructive strategies to retain power – such as the exclusion of rival leaders from electoral contests and the deployment of militias. The experience of these countries was so harrowing that it is tempting to conclude that countries should try and be as inclusive as possible. This could be done, for example, by forming a permanent power-sharing government. But maximising inclusion is also problematic because it inevitably stifles political competition, which is the lifeblood of representative democracy. It is by kicking out bad leaders that voters can hold their governments to account. In Ghana and Senegal, democratic reform was driven by opposition parties, campaigning for freer and fairer elections to improve their own chances of winning power. Because power-sharing systems guarantee all parties representation in government, they threaten to undermine the very mechanism through which elections can drive democratisation. Excessive inclusion is therefore just as bad for democracy as excessive competition. The task facing those who draft or adapt state constitutions is thus to decide on the appropriate balance between competition and inclusion. Such balance must allow for sufficient accommodation that all parties feel they have a stake in the system, while also maintaining as much competition as possible in order to promote accountability. Unfortunately, there is no ideal constitutional template that can be deployed across the continent to achieve this goal. Different countries may require different degrees of inclusion in order to achieve political stability. Judging whether a political system can bear the strains associated with greater competition requires an intimate knowledge of a country’s demography, geography and political history. Given this, it is remarkable – and worrying – just how few African countries feature inclusive political mechanisms that prevent certain communities from losing out systematically. For example, very few states feature meaningful decentralisation. Constitutional change, such as the new political system introduced in Kenya in 2010, is very much a step in the right direction. It locates the country in a reasonable middle-ground between majoritarian competition and forced inclusion. Although the presidency continues to wield great power, the capacity of opposition parties to check the executive within the legislature has increased – at least in theory. And while there is no provision to ensure representative government, many communities who feel excluded from power nationally have been able to wield it locally by their choice of senators and governors at county level. Devolution is no a panacea, however. In countries such as Nigeria, the creation of sub-national governments led to heated contestation and often violence as different communities campaigned for the right to be given their own state. Similar tensions are likely to emerge in the run up to the next Kenyan general elections, especially if the Jubilee Alliance Party fails to build an effective political machine. Although Nigerian federalism may have exacerbated tensions at the local level, it has eased them at the national level. That reduced the prospects for a second civil war, which is surely a trade-off worth making. We therefore have good reason to think that constitutional reform like that enacted in Kenya will significantly improve the prospects for political stability – so long as it is respected. Given this, it is far too soon to give up on African democracy. Governance Ahead: Understanding the African Union’s African Governance Architecture, African Peace and Security Architecture and the linkages between them. Africa has made considerable strides in striving towards democratic and participatory governance. Today, African leaders are convinced, more than ever before, that democratic governance and durable peace are a fundamental sine qua non for sustainable human development. All major Organization of African Unity (OAU)/African Union (AU) normative frameworks bear testimony to this firm conviction by African leaders including the 2000 Solemn Declaration on the Conference on Security, Stability, Development and Cooperation in Africa (CSSDCA), the 2000 Constitutive Act of the African Union and the 2007 African Charter on Democracy, Elections and Governance. The AU has undergone a paradigm shift from the old OAU doctrine of non-interference to the new doctrine of non-indifference to human rights abuses, mass atrocity and crimes against humanity within its Member States. However, while we have made tremendous progress, existential threats of democracy persist. This is the context within which the African Governance Architecture (AGA) was established. The AGA is a direct by-product of the AU Shared Values Agenda. In February 2010, the 14th Ordinary Session of the AU Assembly endorsed a decision taken earlier by the Executive Council (EX.CL/Dec.525(XVI), recommending the theme of the 16th Ordinary Summit to be on Shared Values, while also putting in place a Pan-African Architecture on Governance. Subsequently, in January 2011, the 18th Ordinary Session of the Executive Council endorsed the strengthening of the AGA, through the launch of the African Governance Platform as an informal and non-decision making mechanism to foster exchange of information, facilitate the elaboration of common positions on governance, and strengthen the capacity of Africa to speak with one voice. The AGA and its Platform became operational in 2012, the very year declared by AU policy organs as the Year of Shared Values. The AGA was established to translate the objectives of the legal and policy pronouncements on AU Shared Values, as the implementation framework for the promotion and sustenance of democracy, human rights and governance in Africa. By AU Shared Values, we mean those values, norms and standards as enshrined in the Union’s various instruments such as freedom, human rights and the rule of law, tolerance, respect, community spirit, gender equality, youth empowerment, unity in diversity, constitutionalism, democratic governance, peace, security stability, development, environmental protection, popular participation, accountability and transparency, strong democratic institutions, anti-corruption, improved service delivery, equality, credible and democratic elections, durable solutions to humanitarian crises and free movement of African citizens across borders of AU member states. The principal goals of the AGA are to connect, empower and build capacities of AU Organs, Regional Economic Communities and relevant stakeholders, including civil society, in order to enhance good governance and democracy in Africa. Through the AGA, the Union is facilitating the implementation, support and complementing the efforts of AU Member States to achieve the above commitments enshrined in the AU Constitutive Act and other relevant standards and norms. To ensure coordination and synergy amongst all the various organs, institutions and the RECs on governance, democracy and human rights issues, the Africa Governance Platform serves as the dialogue and information-sharing forum for the achievement of the goals of the AGA. It provides an avenue for consultations, coordination, dialogue and collective action among the various AU Organs and Institutions for lesson learning and experience-sharing on how best to deepen democratic and participatory governance on the continent. How complementary are the AGA and the APSA? The AGA cannot succeed without a strong complementarity with the African Peace and Security Architecture (APSA). One of the specific objectives of the AGA indeed is to ‘facilitate joint engagement in preventive diplomacy, conflict prevention and post-conflict reconstruction and development associated with governance challenges in Africa’. (1) Thus both the AGA and APSA are supposed to address the structural root causes of crisis and conflict in Africa. It is only when democratic and participatory governance is institutionalised and peace and political stability prevail that Africa stands a better chance for sustainable human development and prosperity for its citizens. This is also the vision of the AU elaborated in the Africa Agenda 2063 and the Common African Position on Post-2015 Development Agenda. (vii) socio-economic exclusion, inequality, unemployment and marginalisation. These are the structural root causes that propel violent conflicts and instability in Africa with devastating impacts on peace, democracy and development. Failure to address these root causes will confine all our responses to mere symptoms of the problem. The AGA is designed as the comprehensive, overarching and consolidated framework for addressing issues of governance and governance related challenges aimed at addressing structural causes of political instability and crisis through inter alia, preventive diplomacy, mediation, negotiated settlement of conflicts, humanitarian assistance and durable solutions, reconciliation and post-conflict reconstruction and development. The AGA addresses the governance and democracy mandate of the AU, the APSA addresses the peace and security agenda and New Partnership for Africa’s Development (NEPAD) deals with the developmental agenda of the continent. There are various Shared Values instruments that facilitate cooperation between the AGA and the APSA. These include most notably the 2000 AU Constitutive Act, the 2000 Solemn Declaration on the Conference on Security, Stability, Development and Cooperation in Africa (CSSDCA), the 2003 Protocol Establishing the Peace and Security Council, the 2007 African Charter on Democracy, Elections and Governance and the 2009 Post-Conflict Reconstruction and Development Policy Framework. More recently, the Africa Agenda 2063, which is to be adopted during the Summit of Heads of State and Government in January 2015, and the Common African Position on Post-2015 Development Agenda are additional policy frameworks which underline the need for cooperation between and among the AGA, APSA and the AU development architecture. (iii) humanitarian situation in Africa. A great opportunity for further strengthening the linkages between the AGA and APSA can be found in the African Union Post-Conflict Recovery and Development (PCRD) policy framework, and the African Solidarity Initiative (ASI). The African Solidarity Initiative was launched by AU Ministers of Foreign Affairs/External Relations on 13th July 2012 with the view to mobilising support from within Africa for post-conflict reconstruction and development in those countries emerging from protracted violent conflict. The main objective of the ASI is to promote African solidarity, mutual assistance and regional integration, and propel the continent to a higher level of development and self-confidence, driven by the motto: ‘Africa helping Africa’. One concrete example of collaboration between the AGA and APSA is the initiative in Central African Republic (CAR) where the Department of Political Affairs and the Department of Peace and Security work together to assist the country in implementing a post-conflict reconstruction and development programme. This intervention is guided by the AU Post-Conflict Reconstruction and Development Policy Framework. The long-term plan is to replicate PCRD interventions in CAR in other countries. Resources permitting, we aim to do so in the seven other pilot countries of the African Solidarity Initiative, namely Burundi, Côte d’Ivoire, Democratic Republic of Congo, Liberia, Sierra Leone, Sudan and South sudan, as well as Mali and Madagascar. Finally, a good opportunity for further strengthening the synergy between the AGA and APSA can be found in the Annual High Level Dialogue on Democracy, Human Rights and Governance, which is one of the key flagship initiatives of the AGA that started in 2012. This forum is one of the knowledge generation and dialogue series which has proved extremely useful in providing a frank, open and inclusive platform for Member States, AU Organs and Institutions, RECs, African citizens, think tanks, civil society, media, private sector, philanthropists, and development actors to engage and share comparable experiences and lessons on how to improve governance, consolidate democracy and foster effective realisation of human and peoples’ rights on the continent. The 2014 High Level Dialogue had its theme as ‘Silencing the Guns: Improving Governance for Preventing, Managing and Resolving Conflicts in Africa’. This provided a platform for exploration of how democratic and participatory governance could be leveraged to silence Africa’s blazing guns in line with the agenda of the Peace and Security Council. A pre-forum to interrogate issues around the contribution of young Africans to building a culture of democracy and peace in Africa was held in Nairobi on 15-17thSeptember 2014, while the Nairobi Forum focused on the role of youth in this process of ending wars on our continent, on 7-10th October 2014, another forum aimed at exploring the specific role for women in this drive towards inculcating a culture of peace and democracy. The outcomes of these preparatory meetings were fed into the High Level Dialogue on 30-31 October 2014 in Dakar, Senegal. This provided another impetus to further strengthen the synergies between AGA and APSA. AGA Framework Document, June 2014. Interviewee:Dr. Khabele Matlosa, Director for Political Affairs at the Department of Political Affairs, African Union Commission conducted by Faten Aggad, Head of Africa’s Change Dynamics Programme at ECDPM. What are experiences and lessons if they do not evoke an emotion out of you to do better? 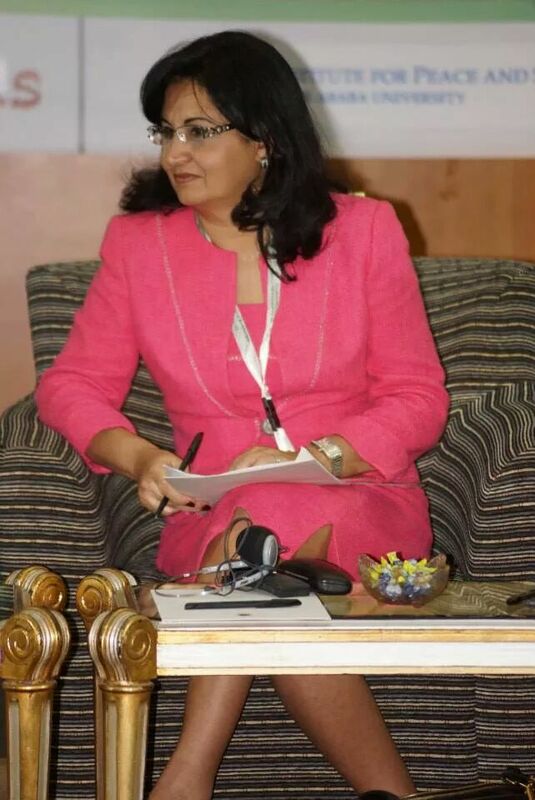 This session was moderated by the eloquent, graceful and beautiful Ms. Belinda Moses, Co-founder and COO, San Media. In beginning this discussion, Ms. Moses raised the pertinent aspect of embracing media to showcase, complement and enhance the discussions being held.The video below depicts the atrocities of war and undoubtedly does have some graphic images but all the more reason to watch it to the end. Prof. Ndioro Ndiaye, former minister for Women and Children, Republic of Senegal, a panelist in the session reiterated the need for promotion of good governance from the ground up and not in the reverse. Her point of view was expounded further by Dr. Kayode Fayemi, Former Executive Governor of Ekiti State, Nigeria, who emphasized the need for creating social safety nets for young people to implement the same. “We must turn around corrupt and unaccountable governments in Africa by strengthening democratic governance institutions,” he stated. “We have a diverse youth in Africa and unfortunately there is a segment of the youth becoming poorer, we need to cater to them,” reiterated his counterpart H.E Mme Maya Sahli, Fadel Commissioner, African Commission on Human and Peoples Rights. Dr. Gounden informed the audience of the consequences brought about by profound socio-economic inequality. Today, South Africa has one of the highest numbers of social protest and it comes as no surprise. “We need to close the gap in development and education. When people enter politics because they have no other alternative to close their own personal gaps, then we are in trouble,” he stated. Ibraheem Sanusi rightly put it when he stated that we should strive to not only want a continent not at war, but one that respects and upholds human rights and builds peace together. Scene-setting: “Silencing the Guns by 2020” What is at stake? For those who were old enough then, remember the period between 1970 to 1990? When single parties were the talk of day, military coups and attempted military coups the order of the day? Fast forward to the ‘90s; competitive politics came into play and countries far and wide within the African continent celebrated multiparty elections; thus true democracy was born. Today however, we still grapple with challenges in democracy, good governance and human rights. A good number of countries are experiencing impunity, violent conflict, corruption, rigged elections, lack of participatory and inclusive development and violation of human rights especially of women and youth but to name a few. So how then does the African state intend to silence the guns in 5 years knowing full well the challenges being faced? What really is at stake here? She continues by informing that to surmount the aspirational and inspirational milestone of silencing the guns within the framework of AU Agenda 2063, we would require translating AU resolutions into solutions through concrete policy interventions at member state level. In achieving this, we would need to focus on addressing the structural causes of conflict on our continent which are rooted in both governance deficits and development malaise. Prof. Gilbert Khadiagala, Head of International Relations Department, University of Witwatersrand, South Africa, raised the poignant aspect of silenced the guns being feasible not only in five years, but today. “When heads of state decide to lead from a conscientious point of view, wars in Africa will be nothing but history,” he stated. This is only possible where leaders decide to silence their own guns and not turn them on the societies that they lead. “To end wars we just have to be honest about what we are doing wrong,” the Prof. informed. “As a continent we need to harness the inspirational element of doing things, we must dissuade ourselves from engaging in pessimistic tenets of life. We have managed to build a culture of competitive politics in 25 years, in that same spirit we can strengthen institutions of participation, accountability and transparency,” he stated. The fundamental aspect of all this is that we cannot achieve our goals without including the youth. Today and in the the year 2020, they will be the leaders, in 2063, they will be the ones passing the baton to the next generation. Incorporation of the future in the present cannot be underscored. Youth have to be at the genesis of the problem solving process in the continent. Dr. Mustapha Mekideche, member of the APR Panel of Eminent Persons informed the group that growth without inclusive development would consistently pose an imminent threat to the progress of Africa. He informed the audience of the need to foresee the objectives of the Africa Peer Review Mechanism being met; that includes fostering the adoption of policies, standards and practices that lead to political stability, high economic growth, sustainable development and accelerated sub-regional and continental economic integration through experience sharing and reinforcement of successful and best practices. This includes addressing deficiencies and assessment of requirements for capacity building. Evidently, the peer review mechanism goes a long way in addressing political, social and economic governance however in respect state sovereignty, membership of the same is on a voluntary basis. This has led to the unfortunate challenge of some states avoiding to commit to the objectives of the institutions or even to adhere to the recommendations given. “The APRM reflects African values, who is afraid of these values?” Prof. Khadiagala asked. High Level Dialogue: What will it take to Silence the Guns in Africa by 2020? 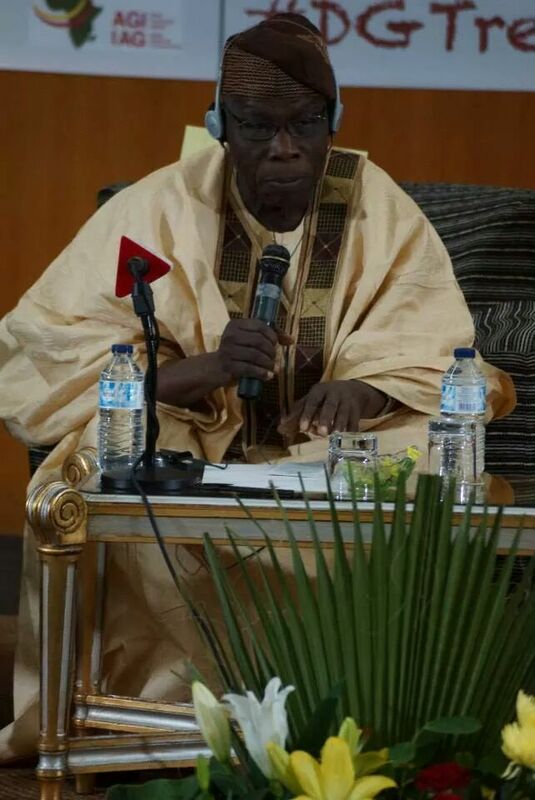 In kick starting discussions on what it would take to silence the guns; H.E Olusegun Obasanjo unsparingly reminded us of the consequences of guns blazing in the continent; their impact on human development, economic development and the extent to which they destroy families, majority of the time women and the youth. “I admit that we did not address the civil war in Nigeria well, we didn’t look at the aspects of diversity dividing us; and it is for this reason that I believe the extent to which lessons learnt are shared is pertinent in managing and preventing conflict. Our war lasted 30 months; I realized that I am a Yoruba but my Yorubaness could not overtake my Nigerianess. That we must embrace our diversity for collective national development,” he stated. Advocate Thuli Madonsela, the Public protector in South Africa shared too her views on silencing the guns. In a somber tone, she reiterated the need for respect of the rule of law during elections and civil and political rights. The impressive prosecutor highlighted the dire consequences of inadequate public awareness and citizens’ rights emphasizing the paramount importance of ensuring access to good information by citizens. “Where people are misinformed or ignorant they will create their own narratives and take the law into their own hands,” she stated. She also raised the pertinent point of benevolent governments needing checks and balances because they too are prone to making mistakes. The Egyptian assistant minister emphasized the need to address high levels of illiteracy and shared on their experiences in Egypt. She highlighted the poignant aspect of democracy being measured through the ballot boxes as fictitious and wrong benchmarking. “Democracy with regards to the ballot box is not about elections alone but also incorporates the ballot boxes in oil and resource matters. Dr. Brice Parfait Kolelas, Minister of Public Service and State reforms, Republic of Congo shared in these sentiments and spoke on the need for synergy between institutions dealing with democracy, human rights and governance. “Today, we can learn a great deal from the National Commission for Social dialogue in Congo,” he stated. H.E Olusegun Obasanjo in ending his experiences with the forum, shared the sobering story of a young rebel leader that he once met from the Niger delta. The former head of state was extremely curious on how the young man had ended up in such an unfortunate role and the young boy responded as follows.